The Hok (tay hok) at a young age. The district (kelurahan) in the City of Jambi known as “The Hok” (tay hok) is very well-known, though the origin of the name is not. The Hok was an 18 year old that arrived in Jambi from China, somewhere around the year 1890 or a little thereafter. His complete name was Tjoa The Hok. From one report Tjoa The Hok’s initial home was said to have been close to the current WTC Mall. He became well-known because he owned a number of successful businesses. 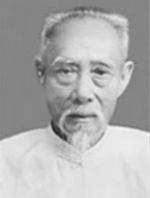 He was most remembered as a successful dealer in rubber, as he owned a rubber plantation, as well as a factory that processed the latex. The factory he owned is still standing at this time and is in operation on the north side of the Batanghari River, across from the main part of the City of Jambi. His rubber plantation is thought to have started at the Jelutung intersection and reached to the area of the southern part of the city where the airport is currently located. What was special about him? 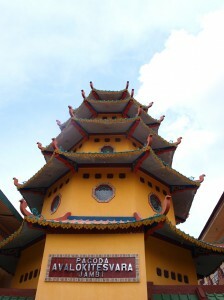 Besides his managerial skills and success in business, The Hok is reputed as having secretly worked behind the scenes in Jambi’s opposition to the Japanese occupation. He was said to have provided food and weaponry to the underground opposition. In addition to The Hok’s opposition to the Japanese, it is said that he was instrumental in community projects in the City of Jambi, specifically on the north side of the Batanghari River, famously known as “Sebarang” (the other side.. of the river) or “Sekoja” (Sebarang Kota Jambi). Among other things, he was said to have given money for the construction of a school, a road, as well as offering advice and suggestions on how to improve the health of the community. Why is His Name Used for a District (kelurahan) in the City of Jambi? The Hok’s name was given to district (kelurahan) in the city of Jambi because when he was still living and his business was in operation, there was a continual flow of people to his residence. There was always people coming and going to his plantation and residence, and when people would greet on the street and give the common Indonesia greeting of “mau ke mana” (where are you going), people would respond, “mau ke The Hok” (I want to go to The Hok’s place). His residence and plantation then gradually took on the name of The Hok. It is said that The Hok moved to Singapore to improve the success of his business. It was there that he passed away at around 90 years of age. The exact date of his death is not known but it was somewhere around the years 1959-61. The Hok’s remains were buried at a graveyard in Singapore, but due to the city’s need to expand the width of the road at that location, the graves were exhumed and moved. 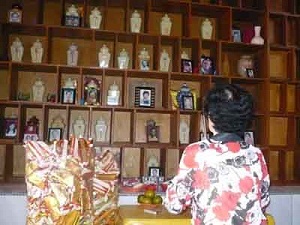 The remains of The Hok were cremated and brought to Jambi by his descendants. 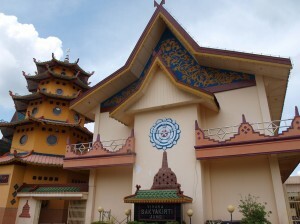 The remains are now located at Samudra Bakti Vihara Sakyakirti Jambi.